ZIM'S 1ST POLLS WITHOUT MUGABE! HISTORY is being made in Zimbabwe as the 2018 elections will be the country's first without Robert Mugabe as a candidate. Mugabe has been the president and face of ZANU-PF since 1987. He has ruled over Zimbabwe for nearly four decades on a ZANU-PF ticket and was forced to step down under military pressure last year. But it appears he won't be voting for a political party that he led for a long time in this year's election. On Sunday Mugabe said he will not be voting for the people who tormented him. 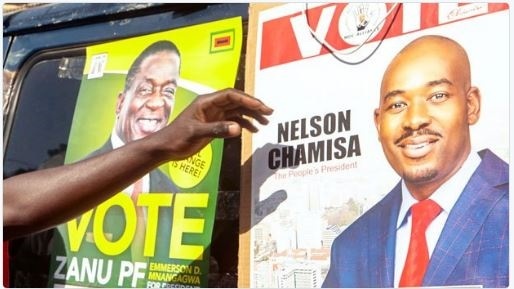 The battle of the Zimbabawe's election is between the two main contenders, 75-year-old president Emmerson Mnangagwa, and 40-year-old MDC leader Nelson Chamisa.